Then Aminatou, the Fateshifter came around, and the idea lurking in the back of my brain came bursting out. The main trouble with building around mechanics only found in a single set is consistency. There’s only a handful of Processors, so we cannot expect to draw a lot of them every game. That’s why we need to reuse them, and that’s what makes Aminatou so awesome for this idea. 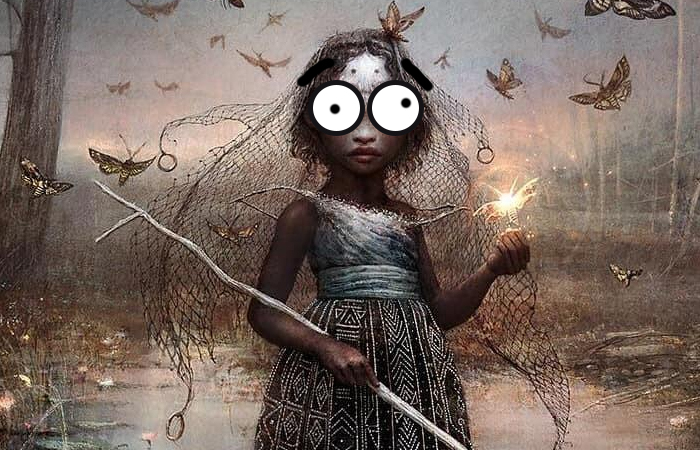 Aminatou helps us blink our creatures to recreate their abilities. On top of that, she provides the colors that synergize best with our Eldrazi friends: blue/black for the greatest choice of Eldrazi Processors, and white for some very interesting exile strategies. Aminatou is the 6th most popular commander of 2018, but I have yet to find a list that uses her in the manner this deck set out to do. She’s in my top 3 cards of 2018 because of her versatility. This deck is just the tip of the iceberg when considering all the interesting interactions she might unlock. But without further ado, let’s dive into this ‘exileting’ deck! Blinking and flickering are strategies commonly associated with Aminatou because of her -1 ability. She incentivizes enter-the-battlefield effects, as do those strategies. However, there is a difference between blinking and flickering a creature. And that difference will prove essential for the mechanisms of this deck. Flickering: exiling any creature until the beginning of the next end step, then returning it to the battlefield under its owner’s control (Flickerwisp). Although the effect often used towards the same goal, that’s not the case for this deck. Instead, we’ll solely be focused on flickering, as will be explained further down. So what effects are we using? There is a great diversity of flickering effects. First and foremost, we have instants like Turn to Mist. These are the cheapest version of the effect. I would also consider Voyager Staff and Release to the Wind in this category. Then we have the permanents. They flicker in two ways: either by activated ability (like Kaya, Ghost Assassin or Planar Guide) or triggered ability (like Identity Thief). One of my favourite interactions with flickering effects is Sundial of the Infinite. When a card would return to the battlefield at the end of our turn, we can activate the Sundial in response to that trigger. This exiles the effect of returning the flickered card to the battlefield, exiling it forever. Flickering creatures triggers their enter-the-battlefield abilities, a trick can Aminatou can do herself as well. It seems smart to make use of that ability. A card like Stalking Leonin can be reset to exile another creature, a trick that also contributes to our overall theme. Mulldrifter, of course, draws us a ton of card. With an instant flicker effect like Long Road Home we can even prevent its sacrifice when we Evoke it, which also draws us two additional cards! Spawnbroker is awesome as well; not only can we re-trigger it, but we can also get the exchanged creature back since the flickering effect specifies “under its owner’s control”! Cast Oblivion Ring, targeting a creature an opponent controls. In response to the trigger, get rid of the Oblivion Ring with a card like Perilous Research. As the first ability resolves now, Oblivion Ring exiles the targeted creature forever. Cards designed nowadays do not allow for this interaction anymore. This means we’ll mostly include cards with the older template. Thus, we can flicker our Fiend Hunter with Mistmeadow Witch in response to its enter-the-battlefield ability and achieve a very permanent exile. Luckily, quite a few of these effects exist in different forms, including cards like Mesmeric Fiend, which can (potentially permanently) exile cards from an opponent’s hand, too! That’s not the only kind of temporary exile we’ll include. Other examples are Delay or Mimic Vat. Although these cards do not have the same possibilities as the aforementioned example, Mimic Vat does still further synergize with Aminatou, and with our main theme. These kind of cards also increase in versatility when used by Aminatou. Normally, when I cast Oblivion Ring or the likes, my opponents immediately casts a far more threatening spell, making me wish I saved that O-Ring. However, with our commander, we can just blink our enchantment to exile that threat instead. Right now we have a pretty solid base to include some “Exile Tribal” cards. Both the flickering and temporary exile are useful on their own, provide synergy for each other, provide synergy with our commander, and open up the exile zone as a resource. But how do we dive further into this zone? Say hello to the creatures we’ve all been waiting for: the Processors. We play a grand total of 8 Processors, who beautifully synergize with everything above. If we would flicker an opponent’s creature at the end of their turn, it would return to play on our end step. That gives us our entire turn to cast Mind Raker and put it in their graveyard instead. When we temporarily exile a spell with Spell Queller, we can make sure it’ll never come back by burying it away with Ulamog’s Reclaimer. Sometimes this only costs us one activation of Aminatou! Exile matters is a strategy not fully explored by Wizards yet. The few cards outside of our Processors are often not worth it in Commander; Pull from Eternity has very little impact, and Warden of the Beyond lacks usability. Only very recently, with Kaya, Orzhov Usurper, we’ve seen a small push towards more effects that acknowledge the exile zone. For this deck’s sake, I hope that’ll grow in the years to come. There are some clever cards missing from Aminatou’s EDHREC page that provide excellent value as long as you’re manipulating the top of your library. I wonder if this is because of the Precon Effect. The cards I’m talking about are those with the Clash ability from Lorwyn. These cards make us compare the mana cost of our library’s top card with that of an opponent’s. If yours is higher, the spell has added benefits. Aminatou helps us shift our fate in our favor, so cards like Revive the Fallen have to full potential to shine. Captivating Glance has even further utility, as the Aura can actually be reset by Aminatou without giving the previously enchanted creature back to its owner! Of course, there’re also those cards we know to be top choices for Aminatou, like Devastation Tide and Terminus, tried and true. These cards fill some final gaps in our deck by providing mass removal effects, which we’re short on so far. Putting Terminus on top of your library, then casting it the turn after will truly let you appreciate the phenomenon that is Aminatou. Esper has a hard time ramping. We’re mostly limited to mana rocks to help us get by. Because we want to play Aminatou on turn three, the “perfect curve” involves us dropping a rock on turn two. With our curve, three-mana rocks are virtually four-mana rocks. We’re adding Sol Ring, Wayfarer’s Bauble, and two-mana rocks that can also fix our mana colors. But there’s another (far more interesting) way for us to ramp: Vedalken Plotter and his friends. How is that ramp? Well, Aminatou, the Fateshifter’s -1 ability lets us blink any permanent we own, including lands! So, after switching some lands around with, for example, Shifting Borders, we can take back our own lands; essential stealing our opponent’s! Bear in mind that not every playgroup likes stealing lands, so be sure they’re okay with this nifty interaction before you add it. Searching your library for a land card will restack the deck. A common strategy for Aminatou is to activate her first ability, put a card you don’t want on top of your deck, then shuffle it away. 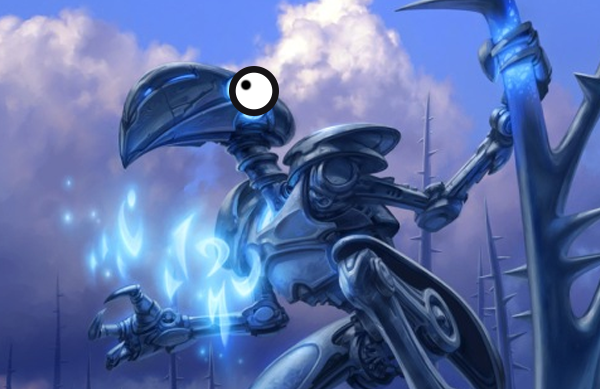 Cards like Esper Panorama won’t just fix our mana, but also provide utility for our commander. In a similar manner, temples like Temple of Malice will help your scry the unneeded card to the bottom. Some cards interact with the top of your library, like Mortuary Mire or Volrath’s Stronghold. Although this deck is not focused on them, we do run cards that care about the top cards of our library. These land are essentially free synergy with our deck, and can be decent on their own. Hideaway lands, like Windbrisk Heights, also fall under that category. We’re only running the white version though, as the others are far more difficult to activate and thus don’t offset the cost of coming into play tapped. Oh, and of course, the famous Bojuka Bog helps us with our exile plan. ‘Exile matters’ is a tough nut to crack, but as Wizards ventures more into new design space, will this kind of deck could gain more and more traction. Interestingly enough, although blue and black Processors are the most numerous, they’re not the best ones: green is the color that actually has both the best and the cheapest “Processors” in Void Attendant and Riftsweeper. Unfortunately these are the only ones this color has, but it might still be enough to create a partly green exile-matters deck. I am very interested to see what you can come up with. If you have any result you’d like to share, you can send it to my via twitter or reddit (@ellogeyen and /u/ellogeyen). I’m open to any comments and discussion regarding the content of the article as well. Next month, we’ll be visiting a deck that will make most very angry! See you then!